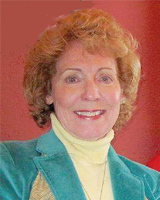 Carole Thieme is founder of Thieme Creative Media, a company she formed in 1985. It has emerged as a strong graphic design firm specializing in magazine design, corporate identity projects, and web site design and content management. Carole Thieme started her business with a vast experience in graphic communications and related fields. From her start at Auburn University where she majored in Visual Design, she went on to become the Art Director for the Governor of Florida and then a senior Graphic Designer at the corporate headquarters of United Way of America. For 20 years, Thieme Creative Media has kept the focus on client needs for great graphic designs at very reasonable prices. Her clients know her strengths to be strong graphic design skills and her ability to meet deadlines while garnering praise from printers around the country for the way she prepares electronic files for prepress.